As first rumored by Saving Country Music, a new posthumous collection of Townes Van Zandt recordings is on its way from Fat Possum and TVZ Records. Scheduled to be released on the legendary songwriter’s 75th birthday—March 7th, 2019—Sky Blue is a rare collection of 11 unreleased songs recorded 46 years ago, including early versions of later classics, and two compositions from Townes Van Zandt that have never been heard before. Made in early 1973, the songs come from a recording session with journalist, musician, and close Townes Van Zandt friend, the late Bill Hedgepeth. They were recorded in Hedgepeth’s home studio in Atlanta, and find Townes working out compositions such as “Rex’s Blues” and “Pancho and Lefty” that would go on to define his career. The two unheard songs are called “All I Need” (listen below), and the “Sky Blue” title track. Also as part of the collection are a few notable cover songs, including the East Tennessee murder ballad “Hills of Roane County” popularized by Tony Rice, the old bluegrass song “Blue Ridge Mountain Blues,” as well as Tom Paxton’s “Last Thing On My Mind,” and “Forever, For Always, For Certain” by Richard Dobson, popularized by Guy Clark. These recordings were Townes working with a close confidant to refine his songs and performances before they would be played and recorded for the wide public. 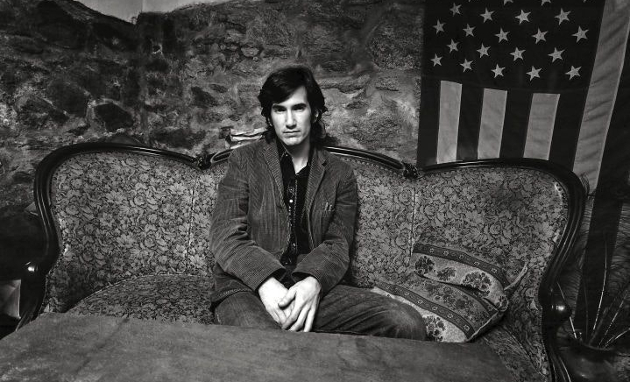 As true Townes Van Zandt aficionados know, at times the raw setting was much more fitting for Townes Van Zandt and his songs, with his album Live at the Old Quarter arguably being one of his best. John Lomax III composes the liner notes for the new project. This release was conceived by, and has the blessing of the Van Zandt family, with his wife and literary executor Jeanene, and his children J.T., Will, and Katie Bell all signing off on the project. Sky Blue is now available for pre-order. Awesome. I can’t wait to hear him play For Ever, For Always, For Certain by Richard Dobson . That’s one of my favorite tracks from that Guy Clark Christmas party. Yes please. This is fantastic! Already Pre-Ordered the Hayes Carll album, guess I’ll be pre ordering this one too. Can’t complain as a fan of amazing songwriting. 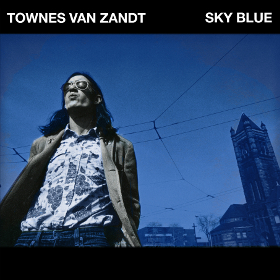 Two previously unheard Townes Van Zandt songs – now that’s something to jump & shout & wave one’s arms about about! Ain’t never gonna be another one quite like Townes. As messed up as he was brilliant. To paraphrase The Flatlanders: more a myth than a man. Also…in 73…Townes was at the top of his game –same year that Live at the Old Quarter was recorded…this will be good. A tip that make it easier to read: Mark the whole article, copy it, and paste it into WordPat. And thank you Trigger for the article. Thanks for link. Townes and Newbury are two of my favourite writers so was interesting reading. Townes cowrote a tune with Newbury called The Queen on Newbury’s first record. Can certainly hear Townes sing it in my head.